Apple to launch standalone Podcasts app in iOS 6? 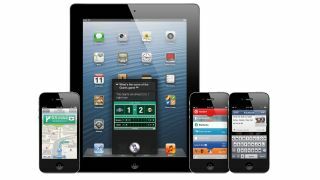 Reports on Friday suggest that Apple may be about to give Podcasts their own application within the forthcoming iOS 6 software. Although there was no mention of this at Monday's preview at WWDC, AllThingsD reckons audio shows will get their own spot on the iOS 6 homescreen. The reason for its initial suspicions? Podcasts are nowhere to be found within the iTunes app developers are now able to access through the iOS 6 Beta, released following the keynote. Further to that, those elusive folks "familiar with Apple's plans" say the autumn launch will indeed see the split. Apparently, if you prefer to access podcasts from within the Windows or Mac OS X versions of iTunes, you'll still be able to do so. The move would perhaps be aimed at bringing more focus to Podcasting, which has almost become like the red-headed stepchild of the ecosystem, thanks to the explosion of bespoke apps from content providers. AllThingsD also points out that this maneuver wouldn't be alien to Apple, having already given Music and Video their own apps within iOS for the last version of its mobile operating system.